Growing operational energy demand presents one of the greatest challenges for an expanding national housing sector. 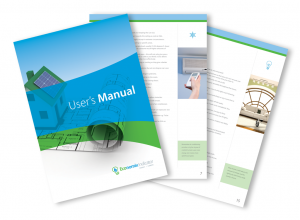 Ecolateral, in appreciation of this fundamental challenge has developed a computer based package The Economix Indicator, a “whole of house” energy efficiency approach to help homeowners reduce their energy use. Based on information provided by the home occupant, the service includes a tailored energy prediction for the home and a User’s Manual which offers the home occupant advice on choosing and using electrical appliances and fittings in the most effective and efficient way. The Economix Indicator has been adopted by some of Australia’s leading developers, including Lend Lease, Sekisui House Australia, Stockland, and the Urban Land Development Authority.